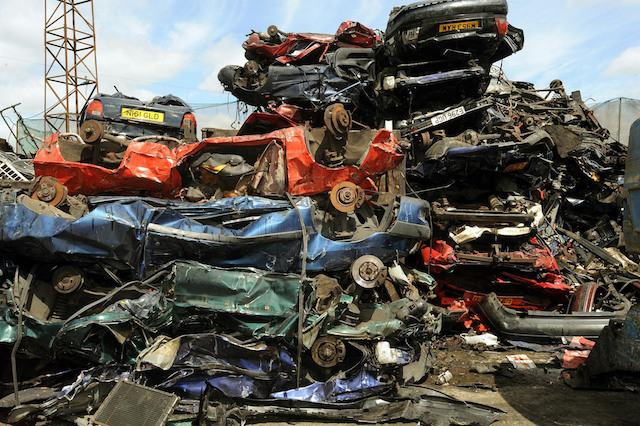 Volkswagen Group, Renault, Kia and Toyota are the latest car manufacturers to offer scrappage schemes, joining the likes of BMW, Mercedes-Benz and Ford. Volkswagen Group companies Audi, Seat, Skoda, Volkswagen, and Volkswagen Commercial Vehicles have announced schemes that target cars and vans that fall under Euro 1-4 engines. Owners are being offered various amounts of money off the latest Euro 6 petrol or diesel, plug-in hybrid, or all-electric vehicles – encouraging people to drive greener vehicles. Volkswagen's £10,000 off the price of a new e-Golf once the government's plug-in vehicle grant has been taken into account is the most impressive. Alison Jones, director of Volkswagen UK, said: "With this new Scrappage Upgrade scheme, there's never been a better time to step up from an older diesel into one of our new, lower- emission range of Volkswagens." The VW Group has also confirmed that vehicles traded in under its scheme will be scrapped and not sold on. Orders must be placed before December 31. Toyota's scrappage scheme is slightly different, being open to vehicles more than seven years old and in customer ownership for at least six months. The Japanese manufacturer is offering up to £4,000 off the price of a new Toyota, with old cars being scrapped. An Auris Hybrid qualifies for savings of £3,500, while customers will be offered savings of £2,500 off the price of a new Yaris Hybrid. The scheme runs from September 1 to December 31. Toyota GB president and managing director Paul Van der Burgh said: "Our scrappage scheme is a win-win solution. Motorists can dispose of their older vehicles and have access to our cleaner, more efficient model range. "Our world-leading petrol-electric hybrids will be an ideal choice, helping make a genuine contribution to protecting air quality – a crucial concern for today's customers." Renault's scrappage scheme also sees cars traded in being destroyed and specifically targets Euro 4 vehicles registered by December 31, 2009. The scheme offers customers the chance to benefit from savings of between £3,000 and £7,000, which includes a £2,000 scrappage allowance. However, the Twingo, Koleos, fully electric Zoe and Twizy are not included in the offer. Orders must be placed by the end of September, with cars registered by January 1. Kia is offering up to £2,000 off the all-new Picanto and Rio, which are the brand's lowest- emission models. The scheme is available now at all dealerships and would see any traded in-cars permanently scrapped. Paul Philpott, Kia's president and chief executive, said: 'A number of scrappage schemes – many applying only to bigger models with higher emission levels – have been launched recently, but the Kia seven-year switch scrappage scheme is simple and easy to understand."